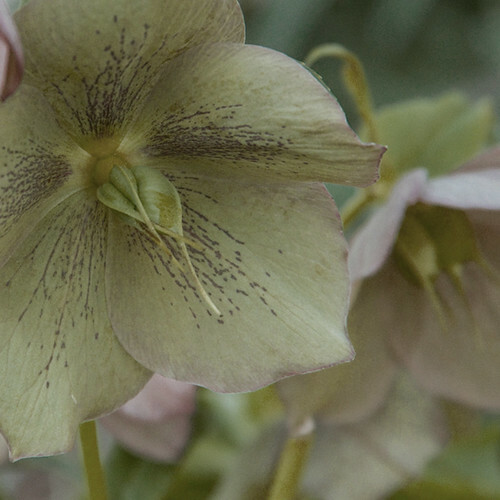 Lenten roses are in full bloom right now, and I think the colors are perfect inspiration for our soon-to-be bedroom. The floor is about 1/3 painted with a first coat. You can see in the picture below the odd stain color that is meant to match the red oak throughout the rest of the house. The dark spots are discoloration from the 30+ year old carpet padding. The floors are pine and in not great shape. We've tried to refinish the floors that are worth it throughout the house and decided the work involved in getting this area up to snuff would just plain be too much. Why am I rationalizing this decision to you? Because the guy at the hardware store made me rationalize it to him, so I feel like it's some sort of sin to want to paint wood flooring. 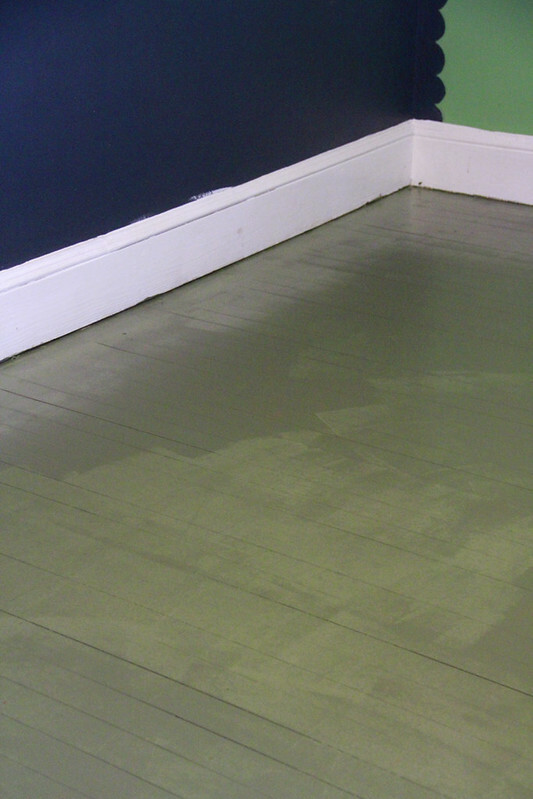 The brighter green (above) is the first coat and still wet. It darkens into a nice deep pea green when dry (below). 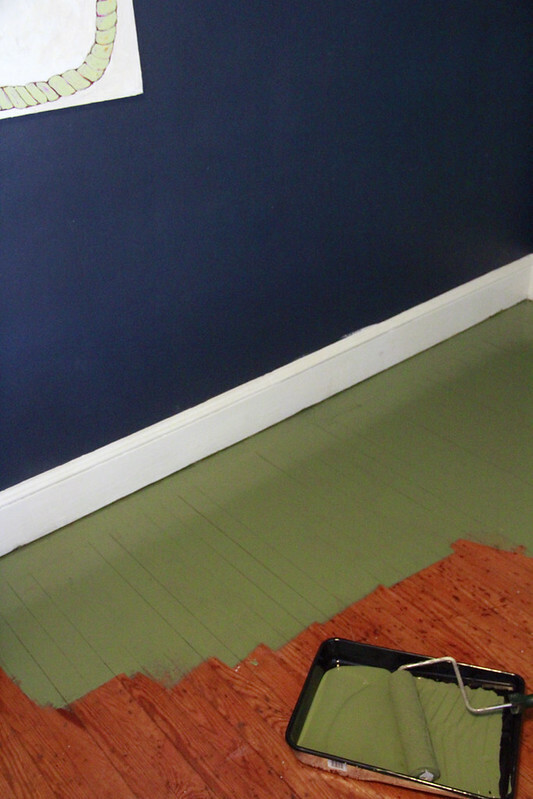 The color is Sherwin Williams SW6180 Oakmoss, though I didn't see a latex floor option at SW, so I bought a latex floor/porch paint from Lowes. Next I'll nix the green walls, but since we have enough navy to get the job done I'll use that up, noting that I'd rather a soft neutral pink in its place.